South Gloucestershire Council is supporting Fairtrade Fortnight, which takes place from 23 February to 8 March. 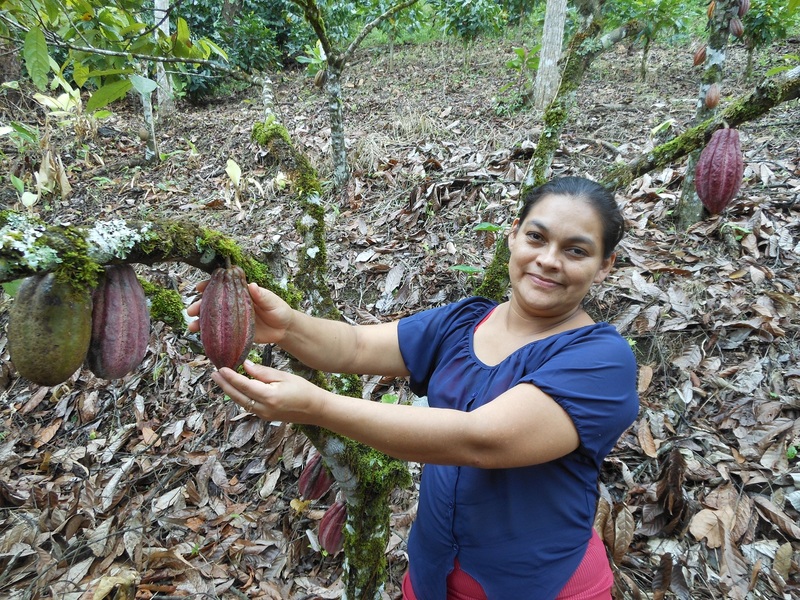 We are part of the South Gloucestershire Fairtrade Group which will be hosting Angela Jarquin, a Fairtrade coffee and cocoa producer from the Soppexcca Co-operative in Nicaragua, who will be visiting local schools and sharing her passion for Fairtrade coffee and cocoa. This year, Fairtrade Fortnight is asking shoppers and businesses to choose products that change lives. Angela Jarquin will be visiting schools in South Gloucestershire during the fortnight to present lessons and assemblies about life in Nicaragua and talk about the positive impact being a Fairtrade producer has had on her life, and also the lives of her family and community. She has recently diversified into growing cocoa after losing many coffee plants to disease as a result of climate change, and will share her experiences of the immediate impacts of climate change on farmers in developing countries, and how Fairtrade is helping them to adapt. Angela will be visiting King’s Oak Academy in Kingswood, Castle School in Thornbury, Horton Primary School in Chipping Sodbury, St Michael’s Primary School in Stoke Gifford, St Augustine of Canterbury Catholic Primary School in Downend and Winterbourne International Academy in Winterbourne, and will also be visiting local businesses and speaking at a range of Fairtrade events during her stay. Angela will also be speaking at Thornbury Fairtrade Fair on Sat 28 February, from 10am to 12pm, at The Swan, 17 High Street, Thornbury, South Gloucestershire BS35 2AE. The fair offers a chance to meet Angela and hear her story, as well as enjoying a selection of stalls, a Traidcraft stand and Fairtrade food samples.